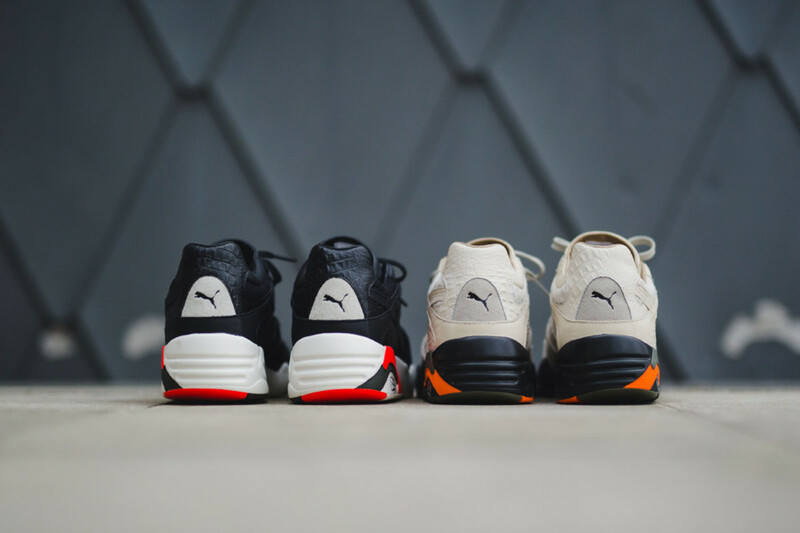 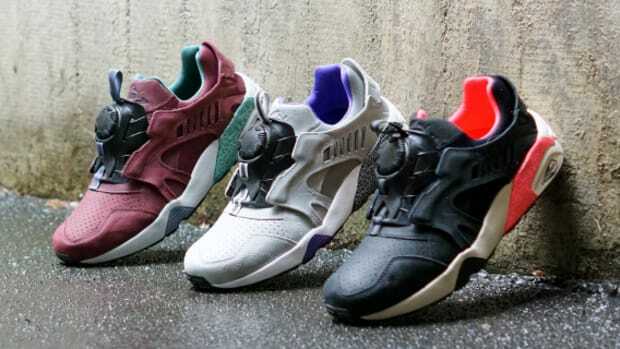 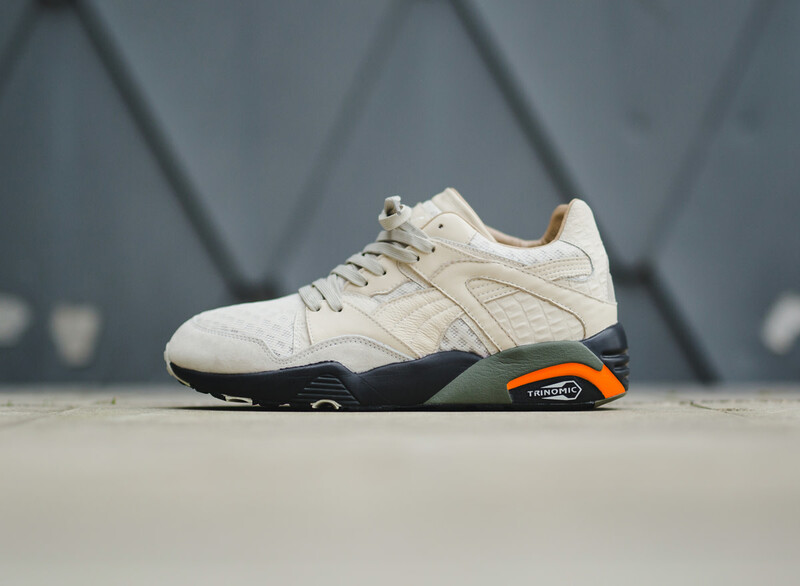 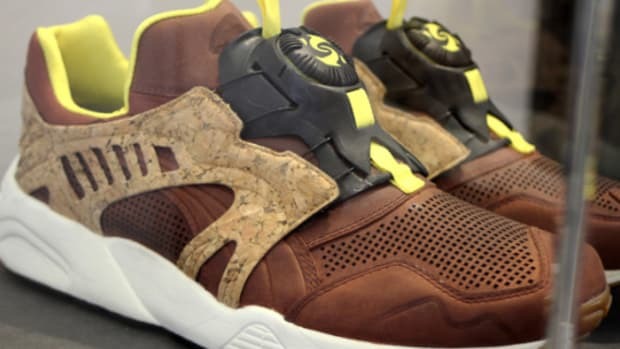 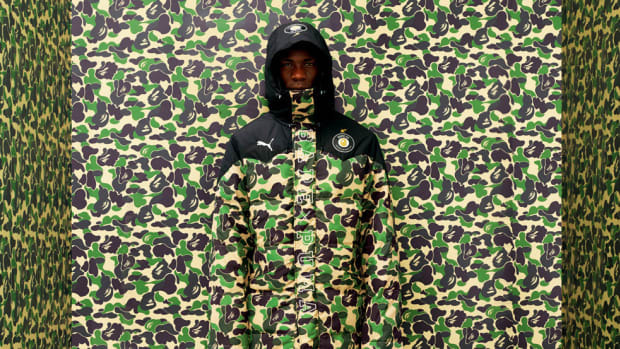 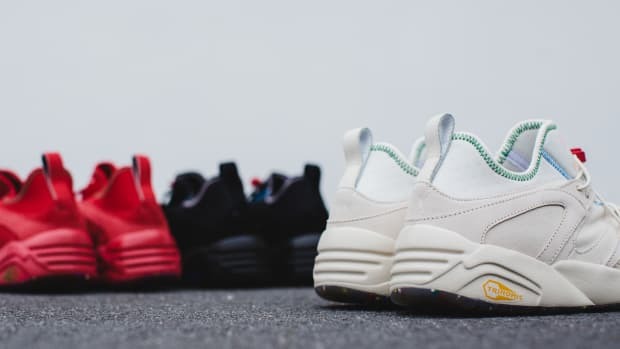 PUMA is capping off 2015 with a preview of a brand new silhouette for Spring/Summer 2016. 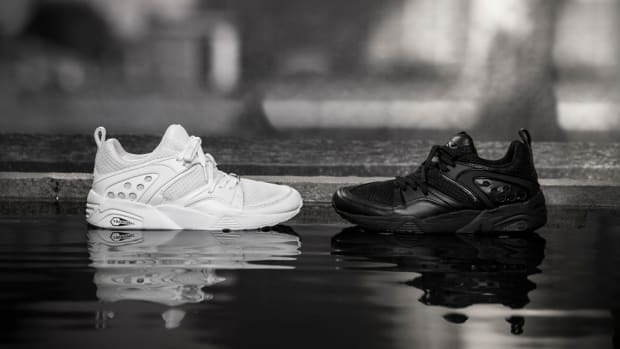 The PUMA Blaze -- with a name and outward appearance based on the classic Blaze of Glory -- will launch in the two-piece "Croc Hunter" pack. 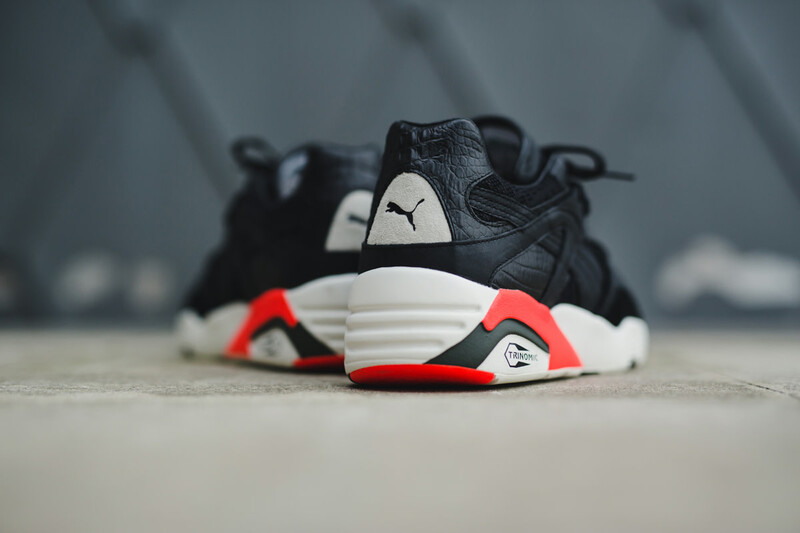 Details include a fold-over tongue and the iconic PUMA formstrip, as well as a lightweight air mesh build across the vamp. 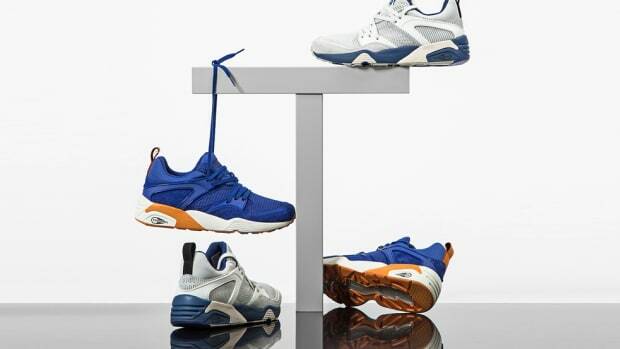 A combination of smooth leather overlays and a croc embossed leather heel panel complete the look. 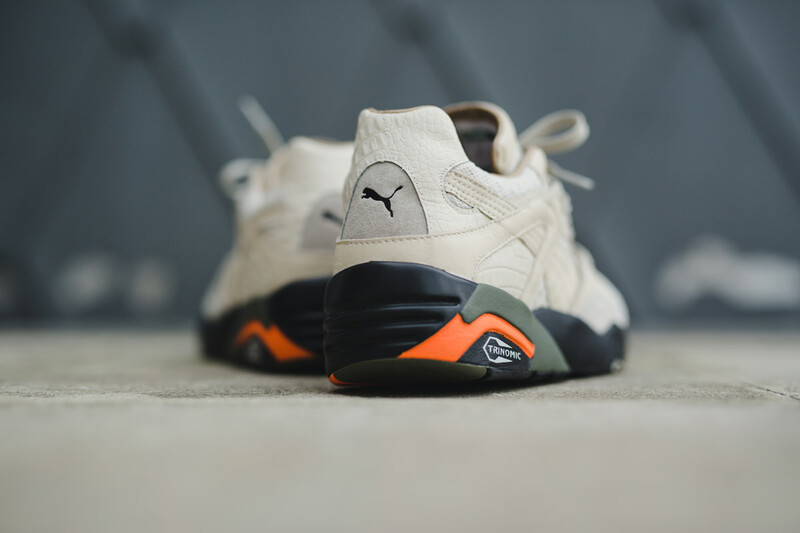 Available in Bone White and Black colorways, the kicks can be purchased through select PUMA retailers beginning December 4. 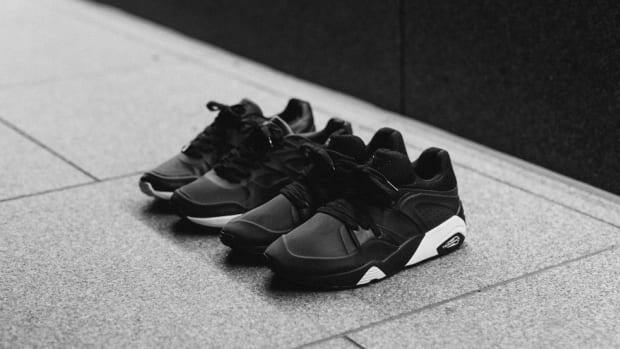 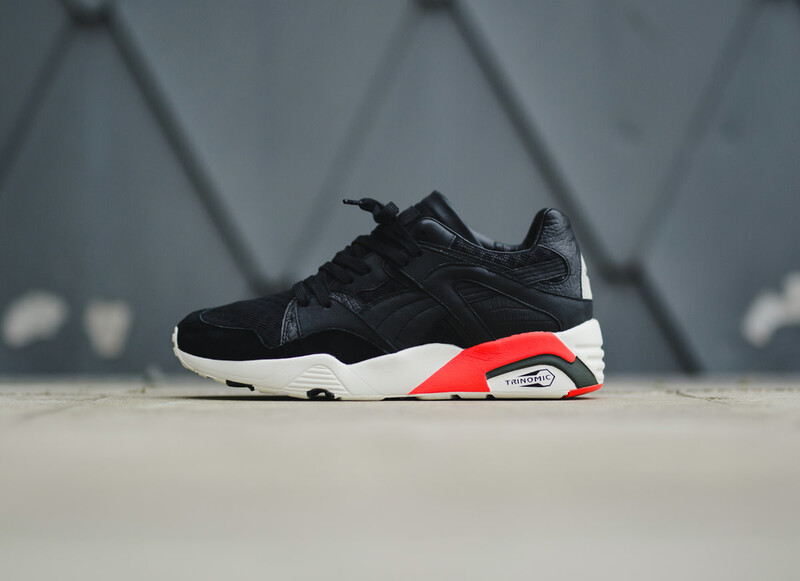 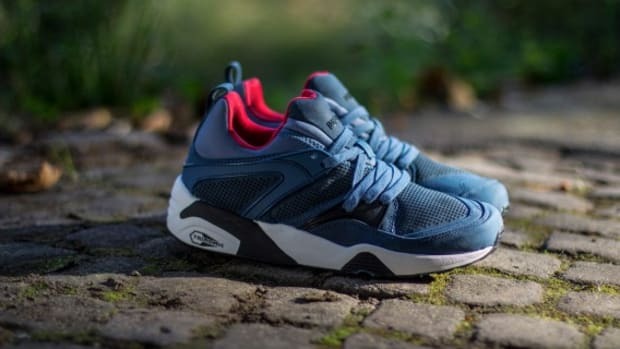 PUMA Blaze of Glory "Tech Pack"